How do you design a cruising boat that’s fast enough to get your competitive juices flowing, but without scaring the family? That’s been the challenge for German naval architect Alex Vrolijk, who has drawn the lines for the radical - but not too radical - 39BEN. 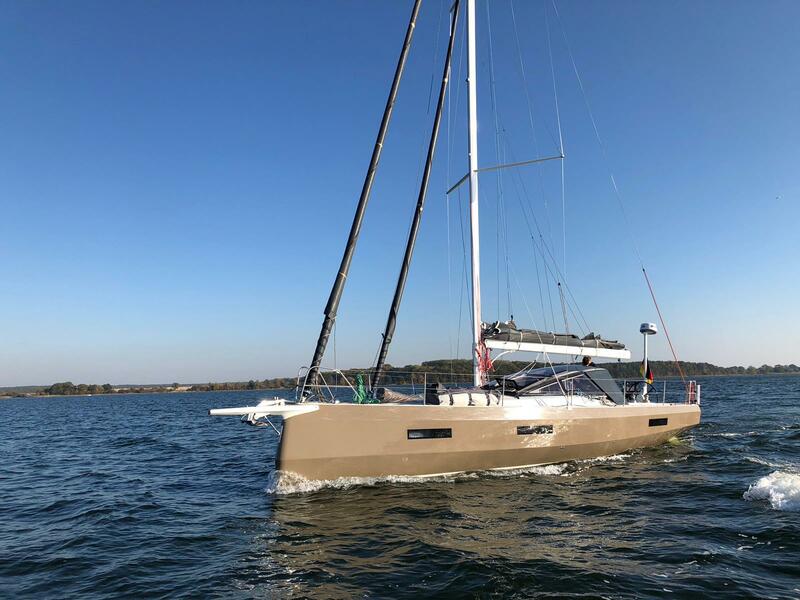 Bjarne Lorenzen of sailmaker Doyle O’leu, has been closely involved with the project throughout, and explains the rationale of this exciting new 39-footer built by Bente and officially launched at Hamburg Boatshow, October 2018. 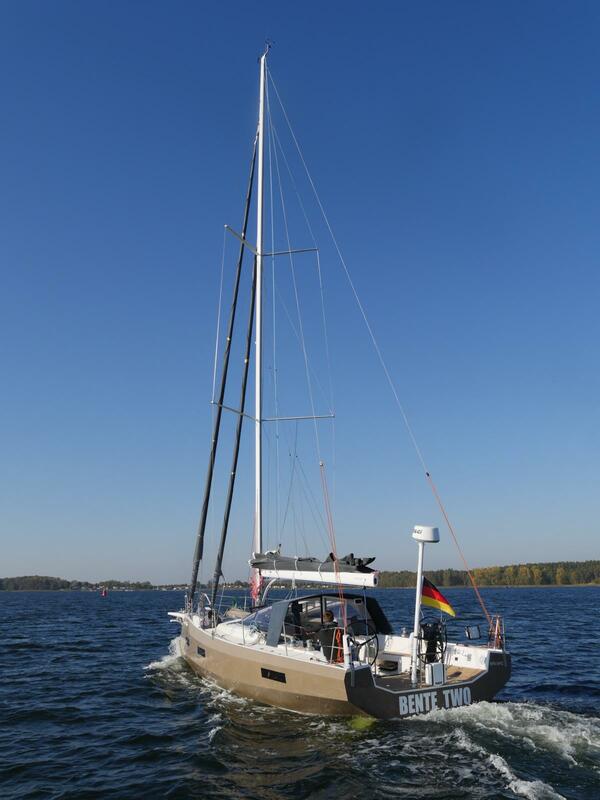 “The complete mast and rigging package has been supplied by Upffront, and we’re very pleased with the end result.'' 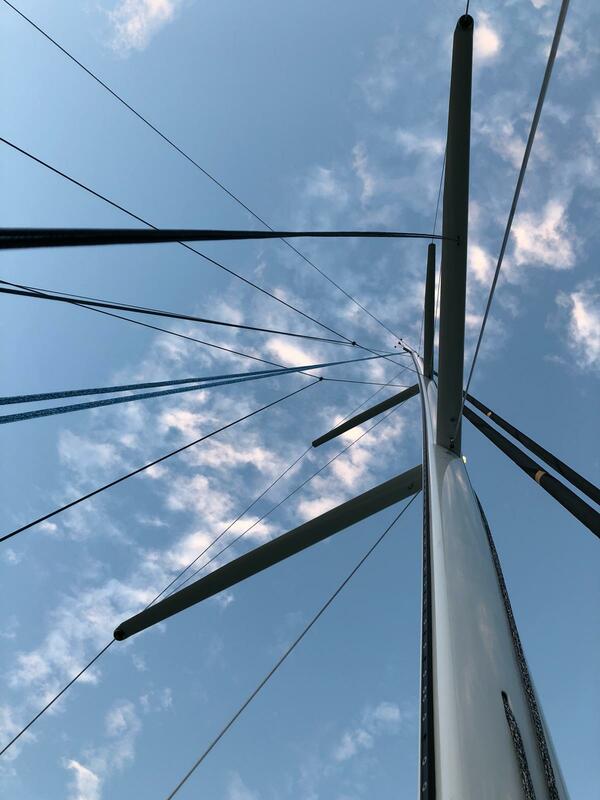 We had some conversations with Alex about deciding on the mast position, and some interesting thoughts about how to attach the staysail attachment, always keeping in mind ease of handling. For this reason, the rig is fitted with swept-back spreaders, so it’s possible to sail safely without the backstay, although it’s still better to put tension on the headstay via the runners. The mast has ended up quite far back in the boat, which helps to lift the bow downwind and contributes to its fast reaching performance. The 60sqm mainsail has a moderate square-top head measuring 1.80m across the top of the headboard. As Lorenzen explains, the aim of the 39BEN is to deliver the maximum performance for the minimum of hassle. “For the best aero performance, it’s good to keep a good width of the mainsail in the upper half of the sail. So, the foot is around 5m and the head is 1.80m, which is quite high aspect without being extreme.” The top three battens are full-length, while further down it’s up to the customer’s preference whether to go full-battened or to shorter battens. 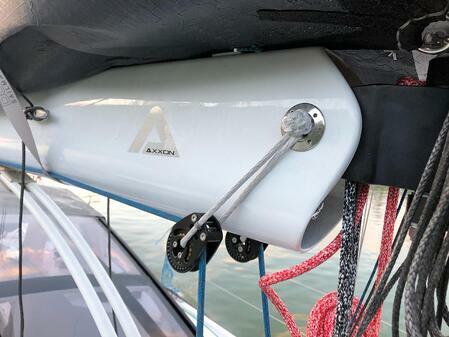 The sail is lowered into lazy jacks for easy reefing or lowering of the mainsail, again with the focus on simple handling for short-handed cruising.